“I would recommend Space to any catering team looking at a new build or refurbishment project”. The feedback above was from Mark Farnsworth one of the directors at Tong Garden Centre in Bradford after the team at Space handed over their sparkling new restaurant design and server counters earlier this year. 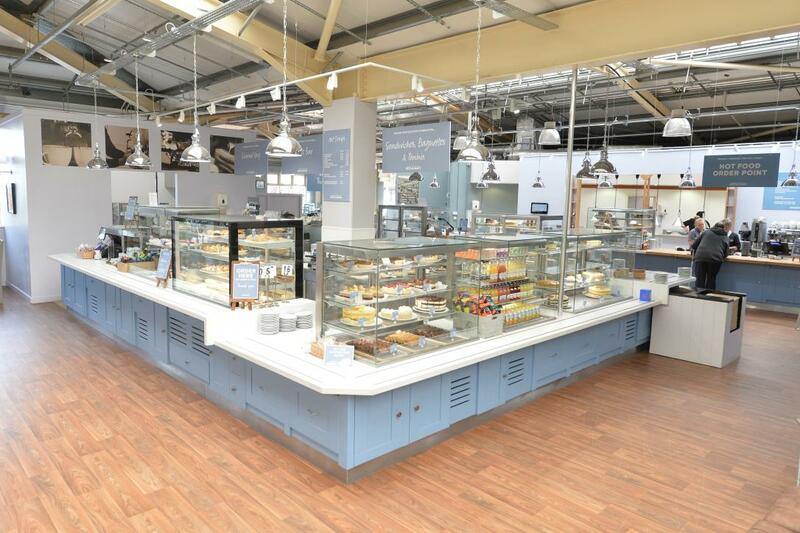 The Tong Garden Centre design needed to be able to accommodate large numbers of customers through its very busy lunchtimes using a combination of servery counters to suit Tong’s offering of both self-service and served hot food. There needed to be a real emphasis placed on efficiency and how the customers would move through the new restaurant design. The team at Space took the time to really understand the needs of the client, and exactly what they were looking for before starting the garden centre design project. Space pride themselves on understanding their clients and interpreting a given brief. Using their experience, the Space team advise and propose options for consideration, allowing the client to choose the route based on their insight of their business and customers, delivering what is right for their restaurant. The final garden centre design included two large servery counters the first being a large u-shape with deli counter serving coffee, cakes and cold drinks. This counter also incorporates a small dish wash room located at the rear of the ‘U’. This feature delivers a significant time-saving in getting clean crockery back for the customers to use. The second of the two servery counters is an inline counter serving hot food. This counter is beautifully finished in brushed aluminium with retracting hanging pendant heatlamps.